Thanks for joining me this Sunday! 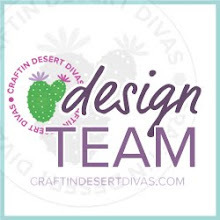 Today I want to share a beautiful card using Craftin' Desert Diva's Flowers in Bloom Set. I started by cutting my base layer with the Picture Frames die by CDD out of watercolor paper. I'm using Canson XL. I then mask off about a 1" section where I want to put my sentiment. I stamp the flowers I picked with Ranger Archival jet black ink using masks to place flowers behind one another. I use Zig Clean Color watercolor markers and blend two different colors together to create interest. 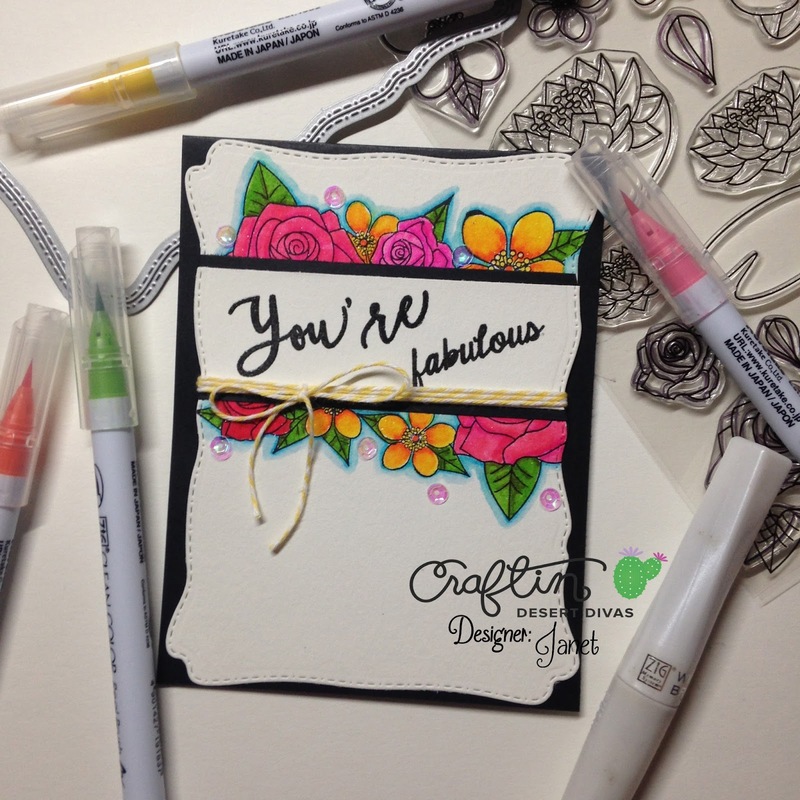 These markers blend so nicely and they are very vibrant colors. I put this aside to dry and started working on my sentiment. I cut another layer with the Picture frame dies and cut out the piece I masked on my main panel. I stamped this with the Wishful Thoughts and Tiny Sentiment stamps, I find I use these sets a lot together. I used Versafine Black ink and Hero Arts clear embossing powder to give it a little shine. To assemble I cut two small stripes of black card stock and place along the side of the sentiment piece to frame it off. I add some Shimmer sequins by CDD and a bit of yellow twine. Thanks for visiting happy crafting!